Marble countertops add history and elegance to any room. Used since ancient times, marble has long been prized for its refinement and beauty. Marble countertops will make your bathroom feel luxurious. Kitchen countertops are equally as beautiful but will take more maintenance, however; if you are willing to put in the extra work marble countertops in the kitchen are absolutely stunning. Marble countertops are more porous than other stone countertops. Because of this, it is recommended to clean any spills as soon as possible, liquid or solid. Make sure to use trivets or heating pads under any hot pans or dishes. Marble is sensitive to citrus (or anything very acidic really), which will leave a small mark. It is especially important to use a good thick cutting boards so you do not scratch the marble. The “soft” nature of marble that makes it so wonderful for sculptors, could be an annoyance to you. In a bathroom do not leave wet items on the counter. Sorry, you will have to actually hang that wet towel up instead tossing it next to the sink. Also be careful with beauty products and other pigmented items. 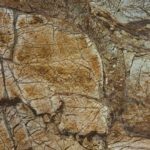 Like most stone countertops (excluding quartz) marble needs to be sealed. Even though it is sealed it can still stain, especially a bright white marble. Even something like little bits of a broken blush compact mixed with a little sink water that’s left to sit overnight will get your bashful blush color stained into your countertops. Don’t be messy, and your marble should do fine. 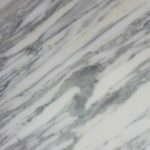 To clean your marble you should first dust away all dirt and debris. Then wash your countertops with a hot damp washcloth, afterword quickly dry it with a soft cloth. Marble countertops will need to be occasionally resealed. How often this need to be done will depend on the specific countertop, frequency of use, and the sealer used. Where are your countertops going and how much use will they get? If their only real purpose is to look good, marble is stunning and exudes a feeling of luxury. If they will see heavy daily use, than you will have to commit to their care and maintenance to keep them pristine. 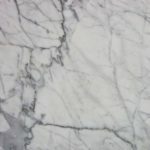 Marble is probably best suited for exposed areas with minimal use. A luxurious walk in closet with a center island would be an awesome spot for a marble countertop. 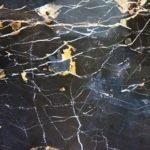 Marble is not a workhorse but a delicate beauty, if you like the look of marble but not the maintenance issues try granite or a faux marble quartz instead.